They can rapidly develop their effects quickly and comprehensively through the blood vessels. With a spoon of PRIMED 2 every morning you support a free life without limits! Kategorien: Calciumkarbonat, Kalzium, PRIMED 2, Raucherhusten. Schlüsselwort: PRIMED 2.
ab 8 Stück: 35% ! 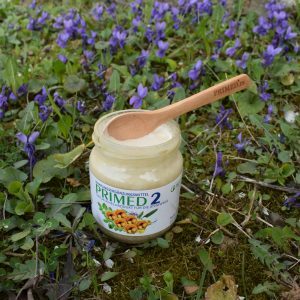 Wie wirkt PRIMED 2 Respiromed Honig mit Kalzium? 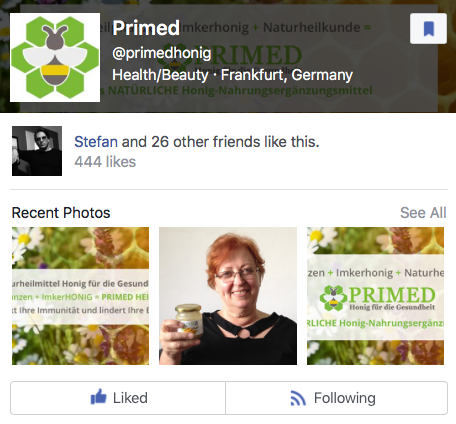 PRIMED 2 ist ein sortenreiner Lindenblütenhonig mit antihistaminischem Kalzium. 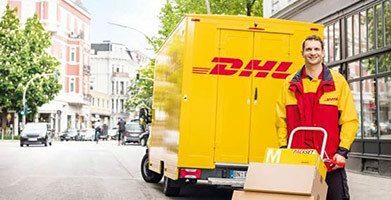 Anwender von PRIMED 2 berichten über besseres Abhusten, mehr Luftvolumen, ingesamt freiere Atmung. If you have no time before breakfast, you can PRIMED 2 also 2-3 hours nach einer Mahlzeit, aber mindestens eine halbe Stunde VOR der nächsten, einnehmen. For stronger symptoms of limited breathlessness, it is advisable to take a spoon of PRIMED 2 for a carefree night even in the evening, 2 hours after dinner! Since all active ingredients in PRIMED 2 are well tolerated, accidental overdose is excluded. 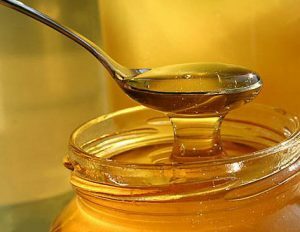 For diabetics or people with special allergies to ingredients of honey, there is a small residual risk – please consult your family doctor if you are diabetic or severe allergic and want to use PRIMED 2. Please also see our warnings and contraindications and if necessary ask your doctor or pharmacist about using PRIMED 2! 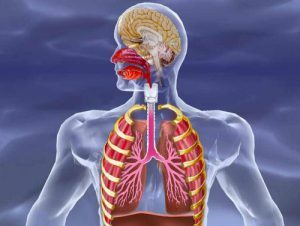 PRIMED 2 Honey for the respiratory tract is not a substitute for a prescribed drug treatment. The product is not suitable for people with hypersensitivity to any of its components or insulin-dependent diabetics. In addition to prescribed medication, PRIMED 2 may be taken at intervals of 2-3 hours with other medications. To use PRIMED 2 during pregnancy or while breastfeeding ask your gynecologist. Side effects or interactions with other natural remedies or medications are not known. 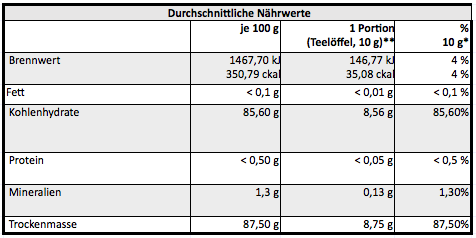 Was ist der Hauptbestandteil von PRIMED-Honig?